I can't believe how much time has passed since my last post. I kept planning on posting, but then I would tell myself to wait until I finished this project or that project. Even though I still haven't finished the large batch of awesome outfits and the patterns that I made last year for Sandra Stillwell's convention in New York, I decided to tackle a couple of commissions that I had been waiting to make. I made this suit back in 2012 as a commission for the Franklin Mint Marilyn Monroe doll. I chose to make it in a cream wool with cream velboa fur. Finding non-wavy velboa is not easy and I feel lucky to have found it on-line. I had always intended to make it again for Gene and the Tonner dolls. Another customer wanted me to make it for him, but he wanted the fabrics and fur to be more taupe in color like in the movie. I have been looking for the right taupe fur and suiting since 2012. I finally found a nice taupe fur, but I decided the fur was too fluffy for this outfit. It was still all I had, so I started looking for the suiting next. Oh my goodness, taupe is a hard color to match! I bought two different pieces of taupe suiting and decided to make the suit in both fabrics and let my customer decide which one he liked the most. I still didn't know what I was going to do about the too-fluffy taupe fur when one day an idea popped into my head. Was it possible to trim the fur shorter using hair clippers? I found some videos on youtube and decided to give it a try. When I found this light-weight wool and a fabric store in Portland, Oregon, I was thrilled. It was the perfect match to the fur! This taupe has a grey-green tint to it, I also loved that it was a nice quality wool. The suit turned out darker than I would have liked to be. Honestly, the colors in my photographs looked better than they do in real life. My other taupe looked more like the color of the suit in the movie. I didn't love how it matched the fur at first. I kept getting thrown off by the green color of the fur. The more I looked at it though, the more I preferred it and so did my customer. Again, the colors look better in these photos than they do in real life. I still wanted to make more of these suit to sell to my other customers, but after trimming the cuffs, collars, hats, and skirt trims with hair clippers, I decided I did not want to do that on a larger scale. Clipping the fur was very time consuming, messy, and made my nose itch. I decided to go back to my trusty cream wool and cream velboa fur. I came up with a way to make the hat adjustable to fit over different hairstyles. Trent wanted in on the photo shoot because he is new. He is looking very dashing in this suit stolen off the back of a Tonner James Collins doll. 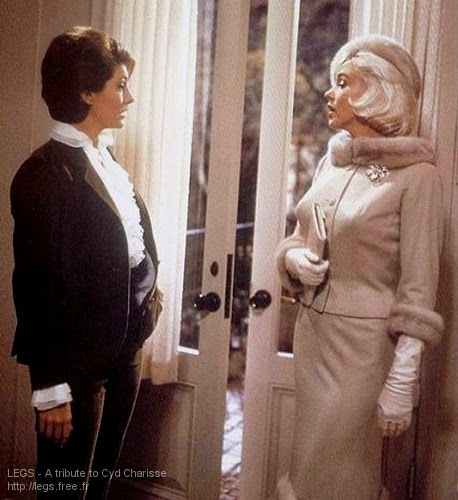 I will be making this suit to fit the Franklin Mint Marilyn doll and also to fit Tonner's Marilyn doll soon. I will also be making this suit up in pink and yellow jacquard. Diane, All renditions aree gorgeous. Nice job.